Since Lidstrom is holding off on retirement for another season, the Wings fittingly shopped for defensemen. Notable defenseman Ian White signed on a two-year, $5.75 million contract. White has 36 goals and 143 points in 401 NHL games with San Jose, Carolina, Calgary and Toronto. White is a strong blueliner who will add depth to the Wings. Jonathan Ericsson nabbed a big deal in the NHL buyer’s market with a 3-year contract at almost $10 million. Ericsson made $900,000 last season playing 74 games and contributing 15 points (three goals, 12 assists). He can pack a punch, but can he place more in net? The Red Wings also acquired defenseman Mike Commodore to a 1 year, $1 million contract. Currently, there is a campaign to encourage Commodore to wear jersey #64 honoring the vintage circa 1980s anchor of a computer. Good PR for the Red Wings, so go for it! Garnet Exelby has signed a one-year contract lending a helping hand. With over 600 games worth of professional hockey experience, Exelby’s previous stints for the Atlanta Thrashers and Toronto Maple Leafs will prove beneficial for the fans. I recall some serious penalty minutes from this guy as an enforcer. Patrick Eaves and Drew Milller will be back next season. Eaves extends his Detroit time with a 3-year, $3.6 million gig. Miller signed on for 2-years, $1.65 million. Logan Pyett, also gained a one-year deal with the Wings. Pyett has spent the past three seasons with Detroit’s AHL affiliate, the Grand Rapids Griffins where he has tallied 21G-45A-66P-91PIM in 215 games. The #35 pick for the Wings in the NHL Entry Draft, Tomas Jurco, has been compared to Pavel Datsyuk for his slick moves and stick-handling abilities. Recently, Jurco was on the St. John’s Sea dogs who won the 2011 Memorial Cup. Across the Detroit River, the Memorial Cup has been home to the Windsor Spitfires, creating a vortex of hockey. The Spitfires and Sea dogs have changed the template for success in junior hockey elevating the quality of play. Xavier Quellet, another drafted defenseman, is a puck-moving blueliner who has the type of profile the Wings like. A defenseman from the OHL, Ryan Sproul of Sault Ste. Marie, will also bolster the Wings in years to come. And we got a Russian. Alexei Marchenko is expected to be one of the top defensemen on the Russian world junior team. Nine picks in this 2011 Entry Draft is the most since 2005. Let’s cross our fingers, wash the Red Wings Ts and get ready to root for the next great wave of Wingdom. I love the blueline. Good seats for sure, and that’s where the battle begins. If a team loses the battle on the blueline, it will be devastating take a look at the Colorado Avalanche, who traded suffering goaltender Craig Andersen for a top D-guy, Erik Johnson. Rookie Kevin Shattenkirk couldn’t quite hang on to his great start to the season, but held value for a considerable trade with fellow Avalanche player, Chris Stewart, for power-forward Jay McClement. With Alex Pietrangelo creating a buzz on the blueline in St.Louis, The blues felt their defense was solid, so they also traded defenseman Eric Brewer to Tampa Bay. The Lightning are shuffling to secure their spot in the East. Those teams are on to the benefits of the tight defense that it takes to secure a playoff spot. Last week, I was consoling an Avs fan on the ailments of the team. We both agreed the downward spiral of Andersen was only one area at fault. The blueline seriously lacked any effort. What happened to Liles’ scoring streak? Foote has been out with an injury, and the rest of the crowd are off in lala land as the pucks pass the point of no return. Shaking up a team is good, but for the St. Louis Blues the shaking could rile some excitement. Stewart has slumped since a broken hand, and no one knows what Shattenkirk’s lack was all about, so it’s a new start for both. And the trade did just that. Stewart rocked his debut with two goals, Shattenkirk, an assist. One game of excellence is not a mandate on the potential impact to the team, but kick in the pants type of debut the Avs guys needed. The Avalanche are desperate. Erik Johnson is solid, but if he’s not surrounded by an equal force, the numbers stall. Hunwick is a good catch if the blueliners can gel in Denver. The debut of the new trades were not enough to gain Denver a win. Better luck next time. The Flyers have had their share of goaltending concerns, but defensmen like Chris Pronger and Matt Carle control their zone to lead in the East. Close behind, the Lightning can gain more momentum with Brewer, Victor Hedman, and Pavel Kubina. With awesome blue power, Boston carries Captain Zdeno Chara steering the boat into dock. Now adding Tomas Kaberle to a new crew of Adam McQuaid and Dennis Seidenberg anything is possible. 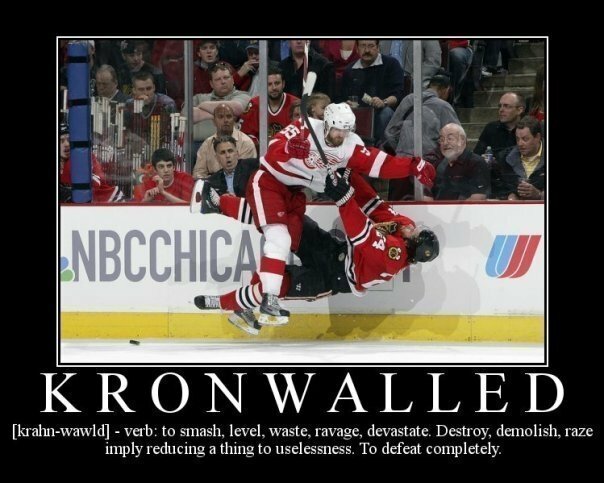 Ericsson, Rafalski, Kronwall, and Lidstrom top the Wings blueliners and it shows. With mounted injuries, the Wings were able to remain in contention for the top seed in the West. Vancouver just lost Kevin Bieksa for a few weeks, but expect the goaltending to be the blueline for now with only Ehrhoff, and Hamhuis to draw the line. Phoenix is howling sitting at No. 3 and is a shock to most. The hot potato team’s defense racked up some stellar talent in Keith Yandle. Roszival tops an assorted list of newbies that seem to have it all under control. Gone but not forgotten, Jovanovski took another trip to IR, so injuries have taken its toll on the Yots. Veteran Aucoin can prop up some points- I’ve seen him do it. Look out for Montreal’s P.K. Subban and Roman Hamrlik who are making an impact for the Canadiens. In New York, the Rangers are throwing themselves into the game standing in a comfortable place in the East, but looking for a climb. Stocked with Staal, Gilroy, Giradi, Del Zotto to name a few, the boys of Broadway are notable in the hunt. Nashville has Shea Weber and Ryan Suter but the Preds struggle in the playoffs. I love the D in Los Angeles: Doughty, Johnson, and Scuderi impress with some suspect if they can hold on to the last spot in the West. The fans in LA are pumped for their team. Goaltenders are out, the blueline is in. Netminders have been repeatedly shown up in the playoffs- they are not a guarantee of a win or a chance to move forward. It’s all about keeping the puck out of the net and not allowed past the blueline. Hockey 101-basic stuff, but a turn in trend. So much hype on the goaltenders, that the defensive core was downgraded to penalty minutes. The teams with the best defense will make it further. In Vancouver, the top scorers are hanging on despite the depletion of the defenseman. Offensive-defensive players like Ryan Kesler and Pavel Datsyuk are the benefits of the wandering blue line. If the Canucks and Wings can hang on in the West with a merry-go-round of injuries,they will dominate in the playoff run. On the flip side, I’ll take the Flyers and the Bruins in the East as Cup contenders.